Stressed Out Kids: Who’s to Blame? For this 100th blog post, I’ve decided to write about a topic that is killing us. I can’t think of a more important issue for the health of our children and our families than stress. Think your kid isn’t stressed? Think again. According to the American Psychological Association (APA), 91 percent of children in the United States report feeling stressed—even though many of their parents reported those same kids were not anxious. It really shouldn’t be that surprising to us parents—as stress permeates every facet, age-group and demographic of our over-stretched, frenetic American lifestyle. Of course it has to affect our children too. 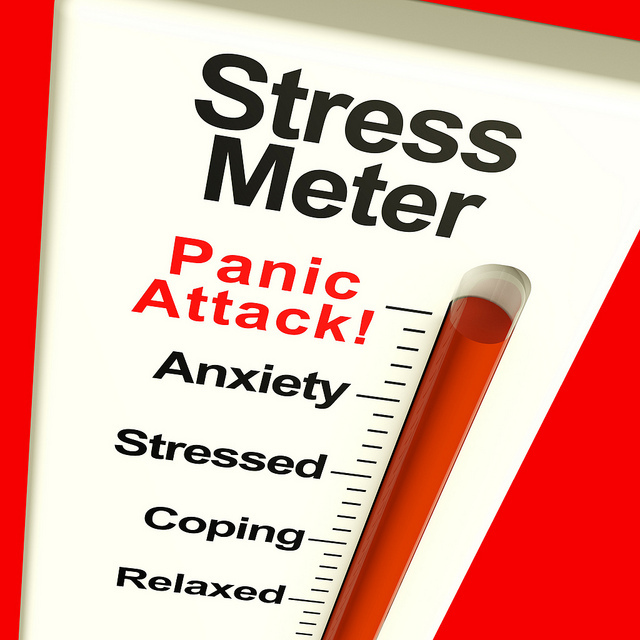 As I’ve reported for multiple magazines and news outlets, stress is a killer. Well, not stress exactly—but how we deal with it. When there are chronic excess levels of cortisol, the stress hormone, in our bloodstream, we put ourselves at risk for heart attack, stroke, diabetes and multiple autoimmune disorders. Pregnant women, especially, need to watch stress levels as cortisol crosses the blood-stream barrier and is linked to potential attention deficit disorder and memory impairment later in life—as well as being a precursor to pre-term birth. (See my FitPregnancy magazine article Beat the Four Biggest Pregnancy Stressors ). Stress has other potential side-effects for our kids. For instance, one recent study linked extreme stress (such as children living with a chronically ill parent or sibling, or those who have experienced or witnessed violence crimes) with poor school performance, exacerbated health issues and a likelihood to abuse drugs and alcohol. And a University of Wisconsin-Madison study concluded that intense and lasting stress actually alters children’s brain functioning: reducing short-term memory and cognitive abilities. Clearly, it’s critical that we help our children lower their stress levels. But how can we expect our kids to manage their stress well—if we, as parents, aren’t doing a good job ourselves? It’s a bit hypercritical and impractical as the bad reactions and habits we have actually triggers their anxiety! Clearly, that didn’t work—or make her more relaxed. But who hasn’t felt that way? (Obviously, I’ve had my moments too! See this post.) Who hasn’t been triggered by over-load from work and life demands that suddenly leave you breathless and reacting instantly instead of calmly and patiently? I know I can be guilty of this. If I don’t slow down or limit the number of obligations I have on my plate, I’m less mindful. Think of what other habits you may be forming that aren’t the best for you or your kiddos. Do you often complain about work demands or money? Do you find yourself racing around, not listening, and then ordering pizza, putting a kids show on the tube and pouring yourself a glass of vino to veg out? Do you and the hubby argue in front of the kids? They’re watching, or listening, even if you think they aren’t. I’m not trying to lay on the guilt…like we all need one more thing to feel bad about! But, I’ve come to the conclusion that if I expect my children to make healthier choices—I have to as well. It starts at home. It starts with me. I recently wrote an article about kids and stress for Pulse, a Los Angeles-based healthcare magazine for Torrance Memorial Medical Center. (Soon to be published.) I reported about an elementary school principal in Palos Verdes, Calif. who hired a stress-reduction and mindfulness expert to come into her school last year to teach young children techniques to lower their stress levels. The health expert, who has a Master’s Degree in clinical holistic health education, showed the children relaxation techniques, including how to “find a safe place” through guided imagery and meditation. This program was introduced before the Sandy Hook Elementary School tragedy, and surprisingly, even in the wealthy enclave of Palos Verdes—many children reported feeling stressed and anxious on a weekly basis. Most anxiety was reported as stemming from wanting to fit in or pressure to excel (yes, even in elementary school!) and worrying about their parents. So you see, even if you think your children aren’t feeling the strain that other kids are, you’re likely wrong. Wouldn’t it be great if more schools in America introduced yoga, meditation and other mindfulness workshops to their children? In a time with multiple school budget cuts, it’s not likely. And, to be more on topic, unless parents attend these workshops with their children—I wonder if stress levels would lower very much within the family dynamic? I know in this family, it’s time for mom to make a concerted and consistent effort to lower anxiety levels for my boys. And that starts, well, with me.